The death toll from last weekend’s flooding in Japan is tragic and a reminder of two points. First, that flooding is the most prevalent natural disaster around the world; and secondly, that flooding events are increasing in number and magnitude as sea levels rise and the atmosphere becomes warmer and more humid. Japan is better prepared than most countries for natural disasters, in terms of physical resilience measures, emergency response and insurance penetration. Many other countries (including the USA) are grappling with a twin problem: flood insurance is not widely purchased, and rising numbers of homes are flooding so often that they become commercially uninsurable. The approach adopted by the UK's Flood Re is innovative and forward-looking. This public/private partnership has a twin role: to make the flood cover part of household insurance policies more affordable for the most flood-prone homes in the country (currently around 150,000); and to foster a range of physical resilience measures that will allow it to withdraw support by 2039. This approach could be adapted for a range of other natural perils. And the insurance market - with its hard-won expertise in risk modelling, mapping and pricing - can play a key role in shaping the ways in which the world makes itself more resilient against a changing climate. 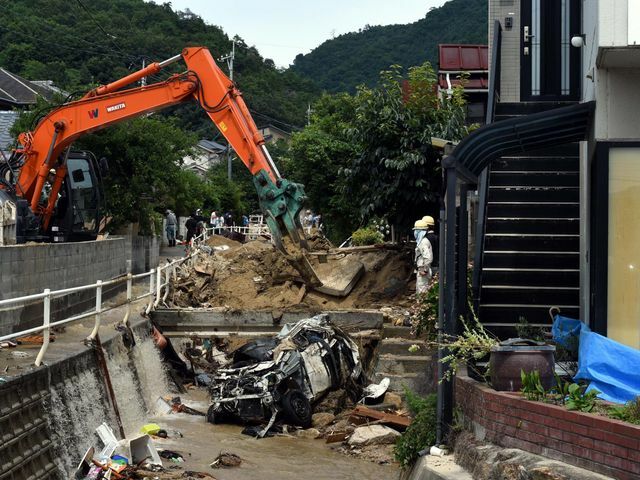 "It's an undeniable fact that this sort of disaster due to torrential, unprecedented rain is becoming more frequent in recent years," chief cabinet secretary Yoshihide Suga said at a news conference in Tokyo. "Preserving the lives and peaceful existence of our citizens is the government's biggest duty. We recognise that there's a need to look into steps we can take to reduce the damage from disasters like this even a little bit," he added.